Standard machine equipment. Suitable for sanding belts 1/4" x 18" and 1/2" x 18". For sanding narrow areas, weld seams, deburring edges, sanding grooved sections on tongued and grooved boards. Suitable for sanding belts 1/4" x 18". 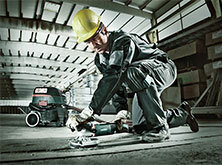 For sanding narrow areas, edges, deburring pipes, sanding grooved sections on tongued and grooved boards. Suitable for sanding belts 1/2" x 18". 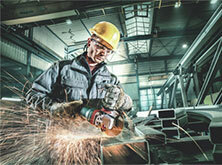 For sanding edges, deburring pipes, sanding blunt welds. Suitable for sanding belts 3/4" x 18".